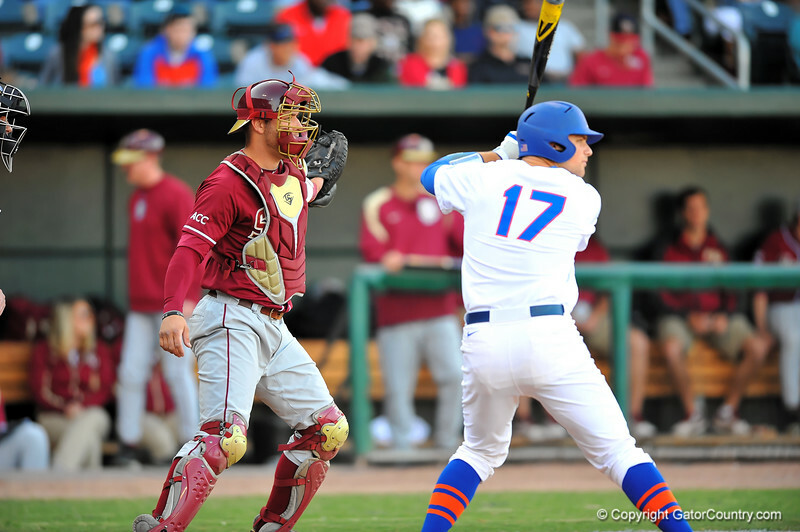 The Gators win in a brawl against Florida State 4-1 in Jacksonville. Florida brawls their way to a win over Florida State 4-1. FSU decides to intentionally walk Taylor Gushue and load the bases in the first inning. Florida Gators vs FSU Seminoles. March 25th, 2014. Gator Country photo by David Bowie.